Getting tired of dealing with dirty dishes everyday? Don’t have the space or want the hassle of installing a hefty-sized dishwasher? Then you’ve come to the right place. Welcome to our guide on the best countertop dishwashers in 2017. 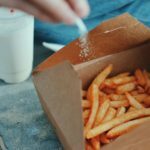 We’ve put together a list of our top 6 recommendations, based on a variety of factors that have all been researched and compared. Many of the best modern models are similar in style and price, so we’ve also put together a quick ‘Buyer’s Guide’ to help explain the most important things for you to consider when choosing your countertop dishwasher. We hope that by helping you to understand these handy little dishwashers better, we’ll make it easier for you to find the model that suits your personal needs the most. 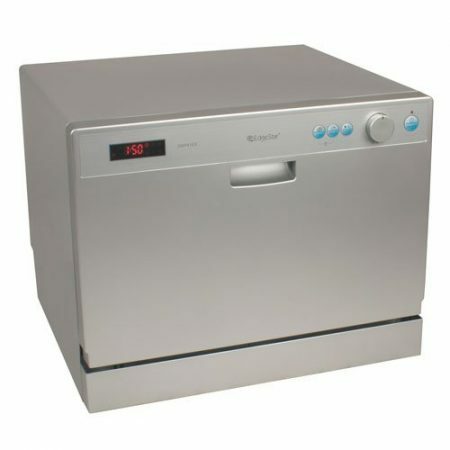 Overall, our top recommendation for the best countertop dishwasher is the SPT SD-2201W. Which is actually the cheapest model on the list, too. We think that it looks great, and has all the functionality that you really need from a small dishwasher. What’s not to love? If you like it, check it out on Amazon here. If you’re after some more ‘bells and whistles’ on your countertop dishwasher – we’d also recommend checking out the EdgeStar DWP61ES. On top of all the standard features, it’s got a digital display, a child lock function, and a delay start – so you can manage the hot water usage in your home. Check it out on Amazon here. Functionality – How capable it is at handling anything from a quick set of glasses to a heavy set of post-dinner dishes. Ease of Use – Are the controls intuitive, is it easy to set up. Appearance – If it looks the part in a modern kitchen. Efficiency – Has it been energy star certified, and will it ramp up the electricity bill. Value – Does the price reflect the quality of the appliance. About as sleek and modern as they come. 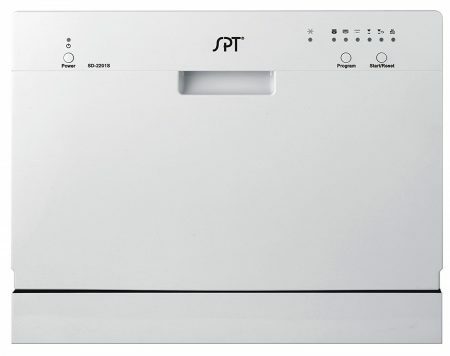 This SPT model has everything you need in a countertop dishwasher. While it’s SPT’s most basic model, that doesn’t mean it’s quality isn’t top notch – just that it doesn’t have an extra wash cycle or a delay start. Those things aside, this countertop dishwasher has everything else covered. It’s interior is fully stainless steel (on all 6 sides), and the energy star certification means it will use around 10% less energy than an uncertified appliance. You’ve got the option of 6 different wash cycles for almost every need: light, normal, heavy, glass only, speed, and soak. The small manual that comes with the machine is also really helpful in everything from setting up to maintaining the machine. We love the modern and stylish look on this model (available in two color types, too). It doesn’t just look the part either – the build quality is solid, it’s energy certified, and the interior is fully stainless steel. It’s price tag offers really great value for this machine: it’s one of the best buys on the market today. Looking good in a cool shade of grey, this model ticks all the right boxes. EdgeStar’s take on countertop dishwashers has resulted in this stylish looking, energy star certified model. It ticks all the main boxes: low energy cost, stainless steel interior, intuitive and easy to read digital display, and a delayed start function. EdgeStar have also incorporated a ‘Child Lock Function’ – to stop any prying, curious hands messing with the appliance as it hums away while it’s cleaning. It also covers a full range of wash cycles; with heavy, normal, and light modes being accompanied by glass, speed, and soak, for when you need them. The only issue we do have is that while simplistic and clear, the push-button controls can feel a bit ‘spongy’ at times; but that’s more of a personal opinion than anything. Functionality wise, this model drops no marks – if you like the look of it, there’s no reason not to pick it up! With looks that will be at home in any modern kitchen, coupled with faultless functionality and the added child lock function, EdgeStar’s countertop dishwasher ticks all the right boxes. We think it’s a great buy if you like the look of it over the other top quality models that it stands shoulder to shoulder with. Simplified buttons and no glaring timer gives Danby’s new model a minimalistic and clean look. Still being ‘fresh off the press’ from May 2016, this is Danby’s new model – with the older being the DDW611. While they’ve not exactly turned the countertop dishwasher world upside down with changes, the newer model has been tweaked for better performance. It’s a little bit light, a little bit quieter, and has a few part upgrades here and there for quality and reliability. Looks wise, they’ve stuck with the tried and true clean white color – though they’ve redesigned the buttons to be much more simplistic. Something that’s gone missing is the digital timer which was previously included in the old model. We think this is down to them prioritising sleek but subtle looks over the added extra functionality of the timer (and screen that goes along with it). 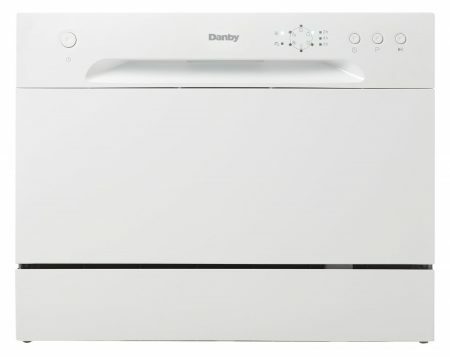 Surprisingly, with the improvements made on the old model, Danby have kept this dishwasher competitively priced; coming in under most of its competitors. 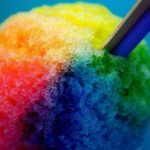 We think this just goes to show that the tweaks were made to simply provide the best product possible to their customers, and not to find an excuse to jack up the price. Even with this just that in mind, we’d happily pick one of these good-looking beauties up today. The only top quality countertop dishwasher that isn’t a shade between white or grey. If you’re a fan of black appliances or have a kitchen with a darker color scheme, then you’re in luck! 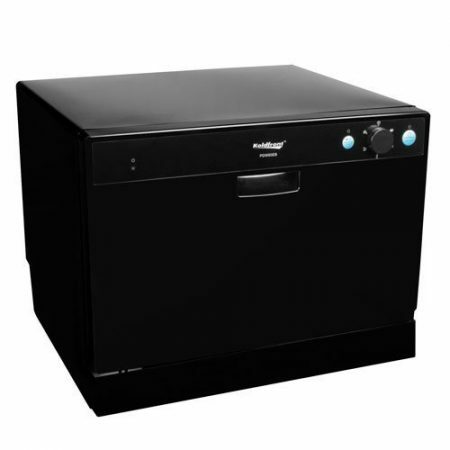 Koldfront are the only manufacturer (of real quality) that have come out with a black countertop dishwasher (though the model is also available in white, see below). Inside of the darkly coloured exterior you’ll find a 6-sided stainless steel interior, and enough space for 6 place setting’s worth of dishes. As with the other top tier dishwashers, Koldfront’s model has 6 wash cycles programmed into it (heavy, normal, light, glass, speed, soak). Our one point to note is that the model isn’t officially energy star certified (that we could see). However, its energy usage is well within the range of other certified models (even less than some). As with the other models on this list, Koldfront’s countertop dishwasher ticks all of the boxes to be classed as a top quality countertop dishwasher (stainless steel interior, 6 wash cycles, low energy usage). While it doesn’t have the extra luxury of a delay start, we wouldn’t hesitate to take this home if it fit in with our kitchen. Stylin’ on the competition with those flashy red highlights. At first, MagicChef’s model may seem a bit of an oddity. While they’ve added a bit of flair to the looks of their model, it is – for the most part – on equal footing to the rest of the countertop dishwashers on our list. However, if you check out the price on Amazon, it’s a fair bit above the competition. Yet there’s no major standout difference. It’s not going to greet you good morning, recommend you cooking recipes, or entertain the kids for you. So why the price tag? Well, though there’s nothing obviously different about it, the build quality of this machine does seem just slightly ahead of the others. And that’s not just our opinion. This model actually has one of the highest average review ratings out of all the best countertop dishwashers. Which is a rare thing for appliances like these; where people often use the review system to vent when something goes wrong (even if the delivery driver just rubbed them the wrong way). So while it doesn’t have a delay start, extra wash cycles or a particularly light weight, this model has made our top 5 because it works. Just as you want it to. 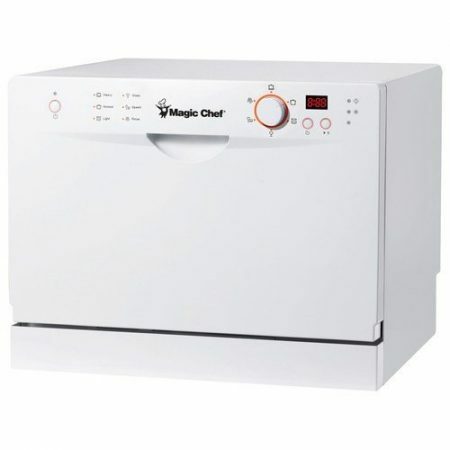 MagicChef have also included an anti-flood device, which seems to be unique to this model only. This takes the form of an extra small water tray, which will start to fill up if there’s too much of a water build up as the machine’s operating. If the tray starts getting too full, the dishwasher operation stops – which should prevent most, if not all of any leakages/overflow before your counter turns into a small swimming pool. 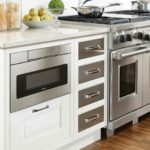 While a little pricey, this is a great model if you’re after a model that has a little more style than just another white appliance to add to your kitchen. 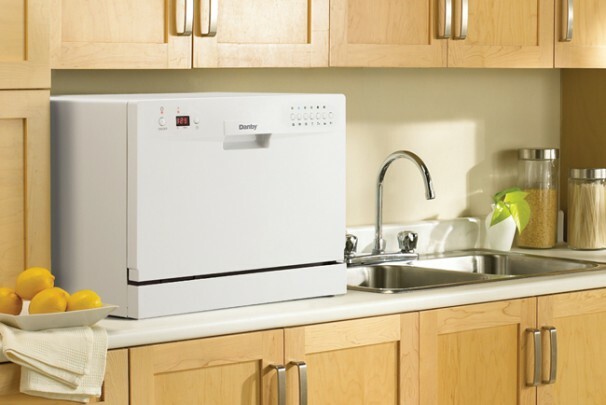 With plenty of functionality, including a unique anti-flood device, there’s a reason that this is the countertop dishwasher model with the highest average review on Amazon (at the time of writing). While we have ranked the countertop dishwasher recommendations above, it’s important to keep in mind that each and every one of them are one of our top recommendations: they’re all at the top of the countertop dishwasher game. They’re just each slightly more suited to meeting certain needs and goals than the others. If you haven’t fallen head over heels for any of our top picks, try checking out Amazon’s bestselling list for these types of dishwashers – perhaps you’ll find the next addition to your kitchen there.